Bonnell Beck, age 70, of Dalton, Georgia, passed away on Wednesday, January 30, 2019 at his residence. He was born on Jan. 6, 1949 to the late Floyd and Roberta Fleming Beck and graduated from Dalton High School in 1971. He attended Dalton State College, was employed at G&C Rubber Coating Co. and Pilot Freight. He was preceded in death by his daughter, Rikkila Shontrell Christian; sister, Eva M. Harrison; and brothers, Jessie, Herman, Nathaniel, Charles, Robert James, and Sylvester Beck. He is survived by his son, Bertram G. Beck; grandchildren, Jasmine Beck, Mya Beck, and Kashetta Beck; one great-grandson, Isaiah Rodriguez; two sisters, Carolyn O’Neal and Rose Beck; brother, Chester (Arlene) Beck, all of Dalton, Ga.; and a host of nieces, nephews, cousins, other relatives, and friends. A funeral service will be held Saturday, Feb. 2, at 1 p.m. in the Chapel with Dr. Jerry D. Jones, Sr. and other ministers officiating. The family will receive friends at the funeral home on Friday evening from 6-7 p.m.
Interment will be at West Hill Cemetery. 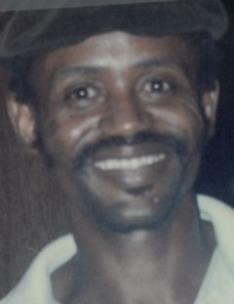 Please share your thoughts and memories of Bonnell Beck at www.willisfuneralhomedalton.com.